What is it about ugly sweaters? Bill Cosby and Chevy Chase made them fashionable last century and they sprung up again nearly 30 years later. Being that I celebrate Christmas in the sweltering heat of the Queensland summer, there’s definitely no way I could wear any type of sweater (ugly or not) on Christmas! So I bring to you instead – The Two Ugly Sweaters of Bookkeeping. Carbonised invoice books. Barely legible staff timesheets. Colour-coded job sheets on clipboards. Customer details stuffed in manila folders. Rooms full of grey filing cabinets overflowing with clip-lock files. Cardboard boxes bursting with service manuals arranged in rough alphabetical order. Handwritten sticky notes plastered all over the desk. It’s hard to imagine that this was how many successful businesses operated just a few years ago. And some still do today. But cloud technology has hit like a digital tsunami and the advances that have come in on that wave have revolutionised the way we do business. Making us more productive, more efficient, and more profitable. We believe Xero is for accounting, what Google is for search engines. It’s the leading accounting package in Australia and makes it really easy to learn to love your numbers! We feel Receipt Bank is the perfect (and essential) integration with Xero. This is where the time and hassle of your bills and receipts is eliminated forever – spend less time collating your paperwork and more time growing your business. Receipt Bank is as easy as taking a photo of the bill or receipt on your phone. It then comes through to us for processing, or processes directly and seamlessly into Xero. 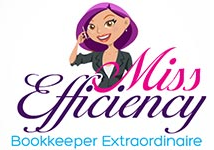 Learn more: Business expenses – are you drowning in paperwork? Many of our clients came to us because their accounts had gotten into a mess. This was either due to an inexperienced bookkeeper working on their accounts, or the business owner themselves trying to make sense of the bookkeeping. This was not their core strength, and consequently the accounts got behind, or in a mess. We love to take a pile of messy receipts, some unreconciled accounts, and some odd transactions that take a bit of puzzling over … and turn the jumble into beautiful accounts that our clients can use to make meaningful, timely and informed decisions about their business. So stick with the ugly sweaters, and forget the ugly bookkeeping. If your technology and bookkeeping have become ugly, contact us and we’ll be happy to chat to you about making them beautiful!